This is a hammered copper tray made in Canada by Fantasy Copperware. 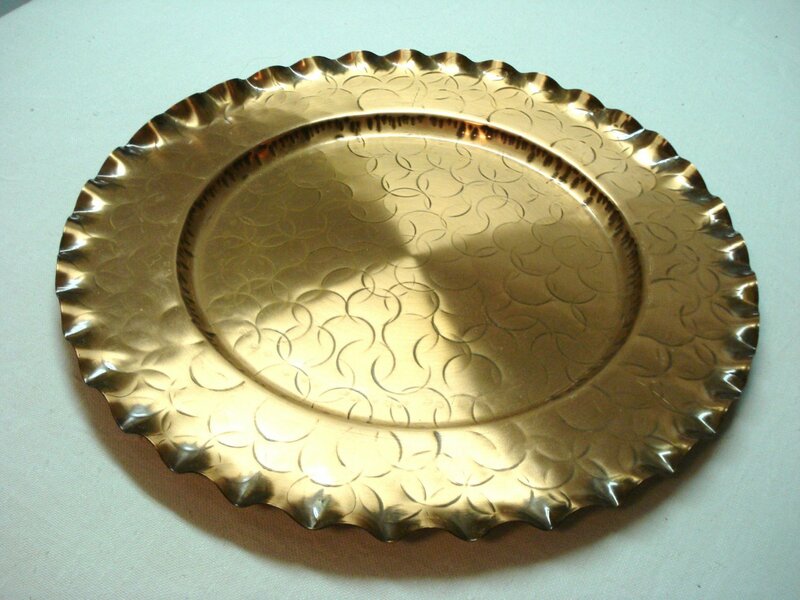 This is a mid century vintage tray. It is 15.75 inches in diameter. The design is of hammered circles that overlap with a 10 inch diameter well and a 2.5 inch rim that has a ruffled or fluted edge. The back of the tray has a metal loop for hanging that has been soddered to the tray. The loop looks authentic to the tray. My guess is that the loop came off and was reattached. The front of the tray is in perfect condition. The back shows slight scuffing. No dents, dings or scratches.